Just around the corner from Bar Ben Fiddich on a quiet pedestrian side street is a local tonkatsu-ya, Tonchinkan 豚珍館。The assistant bartender at Ben Fiddich had recommended it for “good tonkatsu and bad service”. He also warned us that there most likely would be a line. We didn’t see a line when we turned the corner, but there was a small line going up the stairs to the second-floor shop. It’s a value-priced meal, considering that you can get free refills of rice and tonjiru, miso soup with daikon and pork. 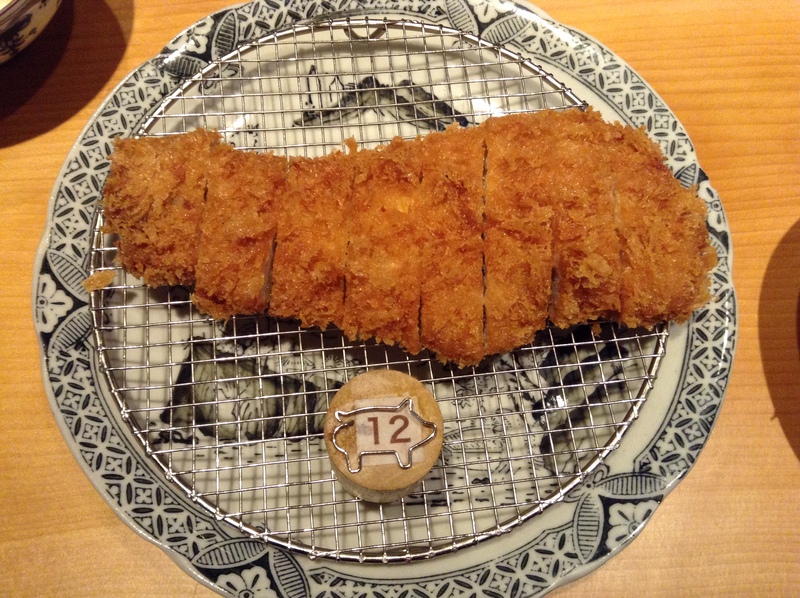 The standard tonkatsu (photo above) is 950 JPY and is a thick cut with the breading in the style of Meguro Tonki. The tonkatsu is dipped in egg and flour a few times before being breaded and deep-fried. There are two sauces, amai (sweet) and karai (spicy), but even the sweet was not overtly sweet as many shops serve. I also love that on the table is a Thai chili sauce for the julienned cabbage. There is an English menu and you place your order while waiting in line. This is a shop you don’t want to linger at. Glad I had been warned about the service. Diners are not coddled as at most shops in the city. This is like the strict mother getting you to eat your meal and kicking you out so the next person in line can get in. Don’t compare this to Maisen or Butagumi. If you only have time for one tonkatsu meal in the city, then head there. But if you are here for a while, or you craving meat after dreamy cocktails at Bar Ben Fiddich, then this is a fun, local experience. Futako Tamagawa is a great area to visit if you want to do some shopping. There are several shops worth seeking out, notably Tsutaya bookstore and Takashimaya department store. 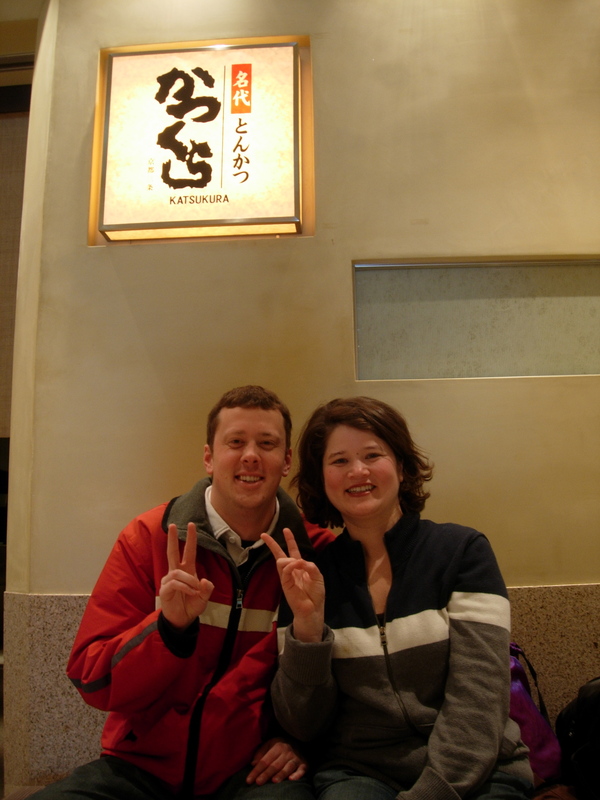 Keitei is a tonkatsu shop in Takashimaya that serves a variety of vegetables with the breaded and deep-fried pork. 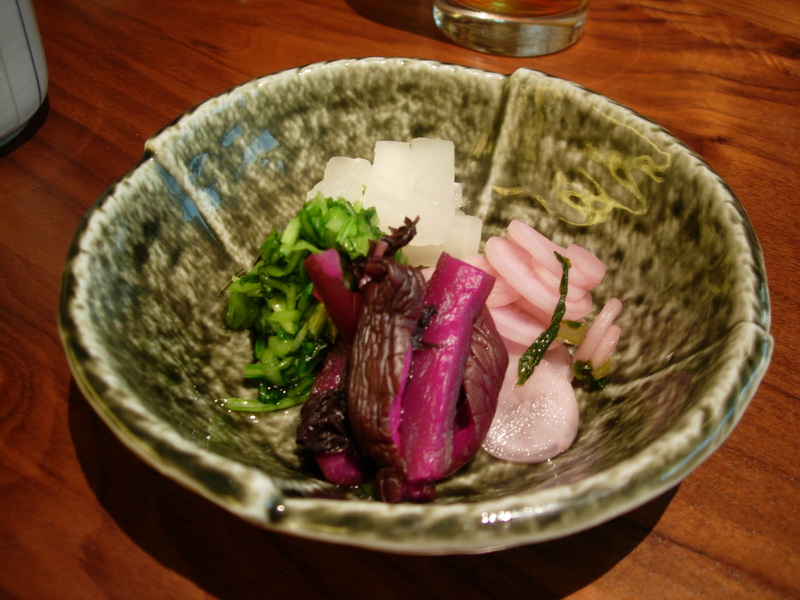 I love the presentation of the julienned cabbage, pickles, and kombu Tsukudani. The cabbage salad can be dressed with an aromatic yuzu or creamy sesame dressing. 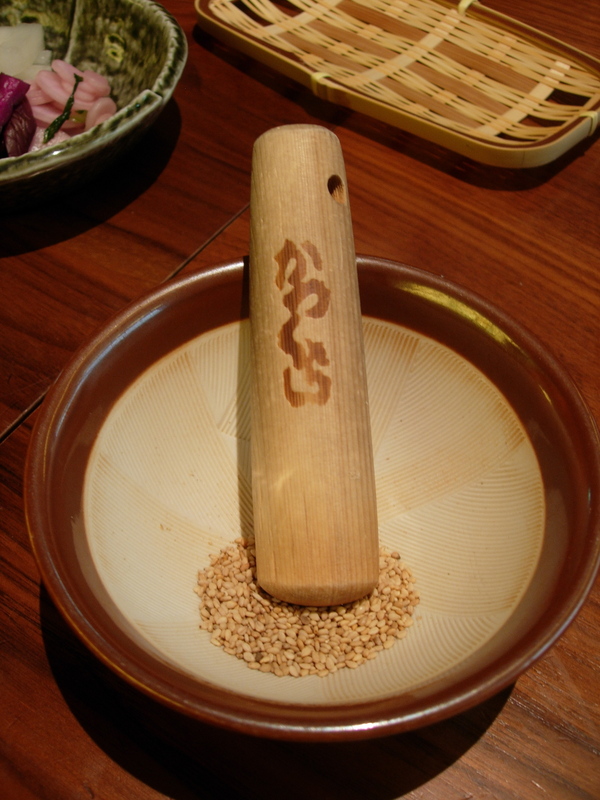 Keitei is part of the Wako group that specializes in tonkatsu. As it is in a department store it is kid-friendly. Katsu refers to panko (Japanese breadcrumbs) encrusted and deep-fried goods. 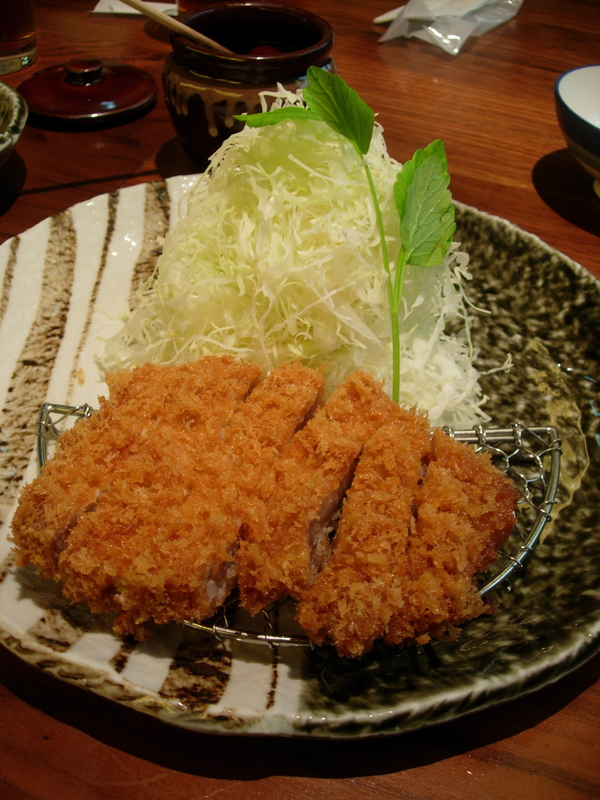 Tonkatsu, deep-fried pork, is the most popular, but there are many others such as torikatsu for chicken. Furai is another Japanese word that is used to describe the same preparation, and is often seen with seafood such as kaki (oysters), aji (horse mackerel), or ika (squid). Torikatsu in Shibuya is hidden on the back streets, a short walk from both Shibuya JR and Inokashira stations. This shop is often featured in magazines and television shows as a great spot for cheap eats. 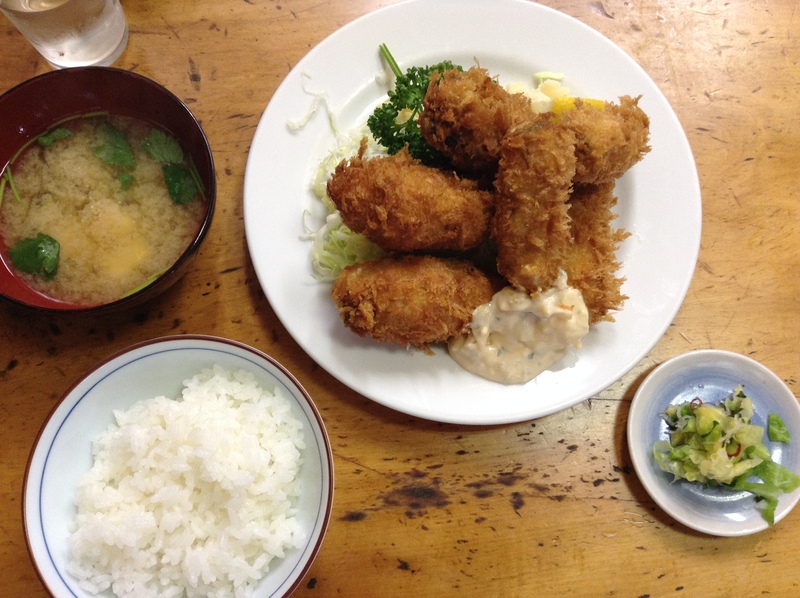 Diners select two or more fried items that is served with rice, julienned cabbage, and miso soup. On the counter is homemade pickles that diners can help themselves to. It’s a popular and chaotic shop. The open kitchen on this day is staffed with three very busy aunties. They each multitask and take turns doing different jobs. If you understand Japanese it’s quite fun to watch as they ask each other for help, reconfirm orders, and often ask customers to repeat what they ordered. As diners pay on their way out, it is on the honor system and each diner is asked what they ordered so that the price can be determined. Very Japanese. A narrow counter with fifteen seats surrounds the kitchen. There is a small table tucked into the corner which seats three, and diners are asked to use this as a communal table. As you can imagine the seats at the counter are squeezed quite tight together and there is no room to set your belongings, aside from the narrow area between you and the counter. Smoke rises non-stop from the deep-fat fryer. The cutting board next to the fryer has been used for so long that the surface is no longer flat. The knife on the cutting board is oily and covered with deep-fried panko. The menu starts at 650 JPY for two items, 800 JPY for three, and 1000 JPY for four. Some of the items include: torikatsu (chicken), tonkatsu (pork), menchi katsu (ground meat), aji furai (horse mackerel), ikafurai (squid), nasu (eggplant), kani kuri-mu (crab in a white sauce), and tamanegi (onion). In season at the moment is kaki furai (oyster). The popular set, which comes at a discounted price, is the ninki teishoku (650 JPY) which consists of chicken, ham, and croquette. Hamu katsu may be the most interesting thing I’ve ever seen, a thin slice of ham that is breaded and deep-fried. The coating is thicker than the ham. The rice serving is generous, so I suggest asking for gohan sukuname, for a smaller portion to begin with (see photo above). You could always ask for more rice if you would like more. It is considered impolite to leave rice in your bowl, so I try to do this at most restaurants. On this day the crowd was mostly young students with a handful of salarymen mixed in. Many solo diners in the group. There is an old television over the refrigerator. The older people, myself included, watched the talk show program while waiting for our food. The rest of the diners were busy with their smartphones. The tail was cut off of the horse mackerel after it was deep-fried, making it much easier to eat. The chicken was tender and juicy. The pickles made from greens this day was a bit on the salty side, so maybe take a small serving to see if it is to your liking. This is a great local spot and hard to beat for this price. The ambience itself is worth a trip here. There are two entrances to the 2nd floor shop. One on a side street and the second off of a narrow pedestrian street on the backside of the building. Finding it is part of the fun. Katsura is a homey tonkatsu shop about a kilometer north of Kokubunji station on the Chuo line. There is a perpetual line out the door. But the other day while biking by the line was shorter than usual and I joined the queue. There is a small table in the back and a counter with tight seating. I was seated at the counter with my back to the sliding door entrance. In Japan you get used to the fact that you may have to get up and out of the way, or maybe lean in to allow someone to pass at smaller restaurants like this. The tonkatsu comes with a generous serving of homemade pickles and a generous serving of julienned cabbage. The tonkatsu is fried in lard and panko crust is lightly colored. The meat is juicy and the portions are generous. As to be found at most tonkatsu restaurants, unlimited rice and cabbage. Budget between 1,500 – 2,000 JPY. Katsura is only open for lunch. This is an example of a shokunin, doing one thing, and doing it very well. I wouldn’t make a special trip from the city, but if you find yourself in this part of Tokyo, it’s good to have on your radar. “Where is your oldest son?”, queried the waitress to the fishmonger at the next table. “He is back at the shop following up on some last-minute orders”, said the older man in rubber knee-high boots. While tourists line up at sushi restaurants next door, my favorite spots at Tsukiji Market are where the fishmongers go. Odayasu is one of these shops. I am the only non-Tsukiji worker. It’s obvious as everyone else is wearing the fishmonger’s outfit of dark blue pants and a vest covered with pockets. 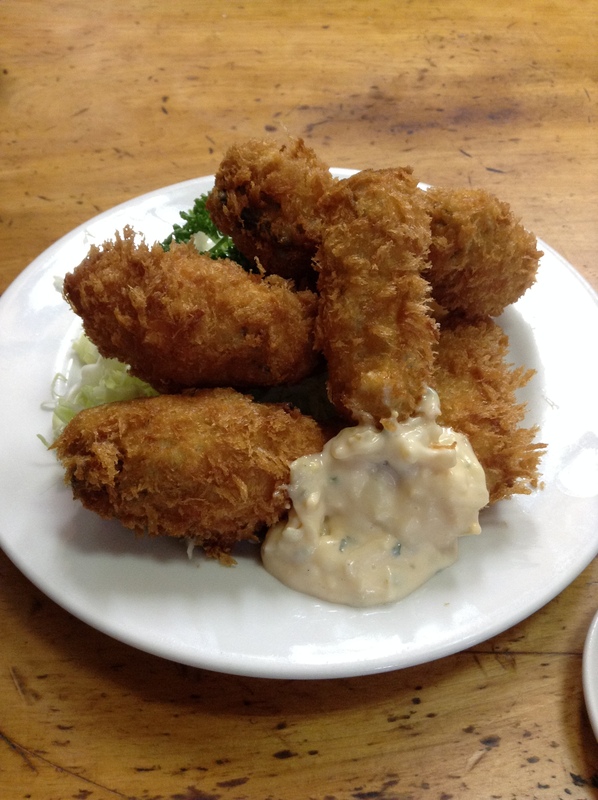 The deep-fried oysters are a popular dish at Odayasu. Six juicy oysters breaded in panko and deep-fried until golden brown. The classic accompaniment is julienned cabbage and tartar sauce. I asked for a small serving of rice as the usual portion would be too much. 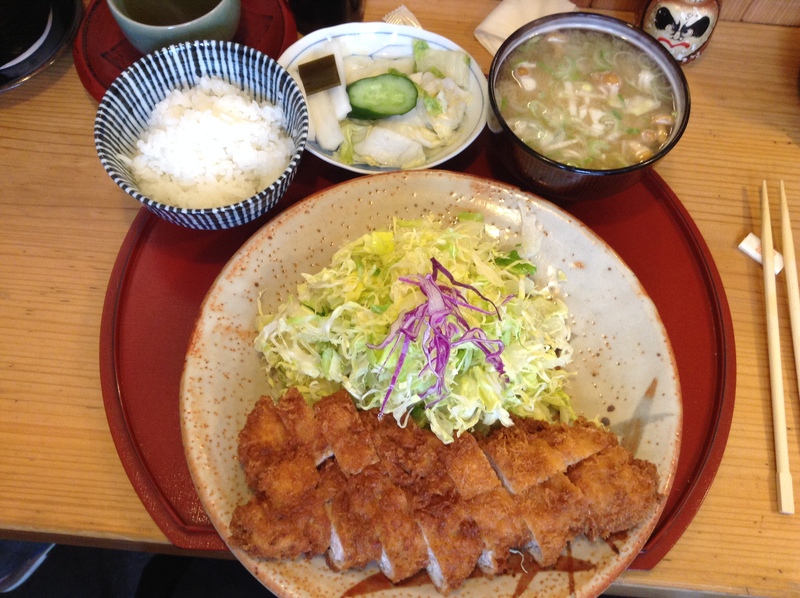 Odayasu is a tonkatsu restaurant, so many of items are breaded and deep-fried. The menu also includes seafood meuniere, sashimi, and salmon sautéed in butter. Another look at the oysters. 4 a.m. to 1 p.m.
Tokyo is a great city for eating well on a budget. The first thing to look for is restaurants that specialize in a dish, like ramen, tonkatsu, or soba. Also, remember the word “teishoku” which is like the daily special or set meal. It is often includes rice, miso soup, pickles, a main dish and a side dish or two. In all of my years eating in Tokyo I can count on one hand the bad meals I have had. 1. Maisen tonkatsu in Omotesando. Who doesn’t love breaded and deep-fried cutlets? And, it is conveniently located near Omotesando Hills and Takeshita Dori in Harajuku. 2. Isehiro yakitori in Kyobashi. The lunch donburi special is 1,800 JPY for five sticks of grilled yakitori over a bowl of rice with soup and pickles. This is a bargain when compared to the dinner full course which starts at 6,300 JPY. This is one of my favorite yakitori restaurants in the city, especially at this price. I like to sit at the counter and watch the chef grilling the skewers. Chuo-ku, Kyobashi 1-5-4. 3. Ivan Ramen. Ivan makes his own noodles, trained at the CIA, and has worked under luminaries such as Andre Soltner and Bobby Flay. Other favorites include Afuri in Ebisu, Jangara Ramen (chain), Ippudo (chain). 4. Uoriki Sushi in Shibuya’s Tokyu Toyoko-ten depachika. Uoriki’s main business is as fishmongers, they have a big retail shop in Tokyu, so the quality of the seafood is very good. Also, the location is great, literally underneath Shibuya station. 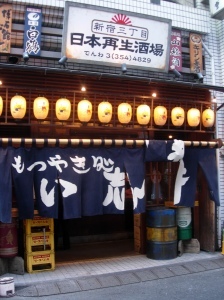 It is located in the depachika, near the seafood section. Don’t worry if there is a line as it usually moves quickly. Just put your name on the waiting list. 5. Saiseisakaba tachinomi for offal. Everything we’ve had here has been great, from sashimi brains (even Shinji was afraid to try this at first), to all of the grilled innards. My favorite dish here is always the tender tongue. And, I love the genki (and handsome) staff here. Locations in Shinjuku, Monzennakacho, and at the Shin Maru Building outside of Tokyo Station’s Marunouchi exit. 6. Narutomi Soba in Ginza. A bit off the beaten path yet located between Tsukiji and Ginza. I was brought here by two Japanese food writers. Be sure to get the gobo tempura, you’ll thank me later. 7. Tenmatsu for tempura at Nihonbashi. The “business lunch” is a bargain at 920 JPY. Be sure to ask for a seat at the counter. Chuo-ku, Nihonbashi Muromachi 1-8-2. It is located just next to the historic Nihonbashi bridge. And conveniently located between Takashimaya and Mitsukoshi – both with magnificent depachika. 8. Tamai for anago in Nihonbashi. Most people I know adore unagi. If you don’t live in Japan chances are you haven’t had anago yet. Similar to unagi, but I find it more delicate. 10. Depachika. When I am at a loss for where to go, I head to the basement of any major department store. Especially Nihonbashi Takashimaya, Shinjuku Takashimaya, Shinjuku Isetan, and Ginza Mitsukoshi as these all have rooftop gardens where you can bring any bento that you get at the depachika to enjoy. While you’re at it, pick up a beer or can of sake to enjoy. This is just a tiny bit of what’s delicious and affordable in Tokyo. Just recently, Robbie Swinnerton of The Japan Times shared with readers a great sukiyaki restaurant, Sukiyaki Yoshihashi, in Akasaka that has a lunch bargain starting at 2,100 JPY.